A courageous team of Wairarapa residents is refusing to be discounted – and is using song, dance and impassioned haka to spread its message of acceptance and determination. 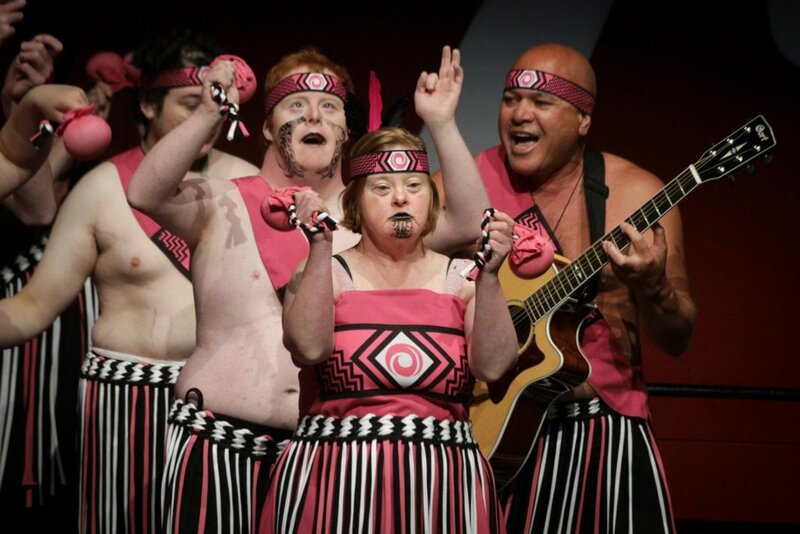 Te Roopu Manaaki, a kapa haka group of adults with intellectual disabilities, made its debut on the New Zealand stage this month, performing at the inaugural Te Anga Paua o Aotearoa National Kapa Haka Festival in Hamilton on December 5. The inaugural festival, held at Claudelands Arena, featured performances from 15 teams made up of IDEA Services clients from around the country, and attracted over 300 spectators. 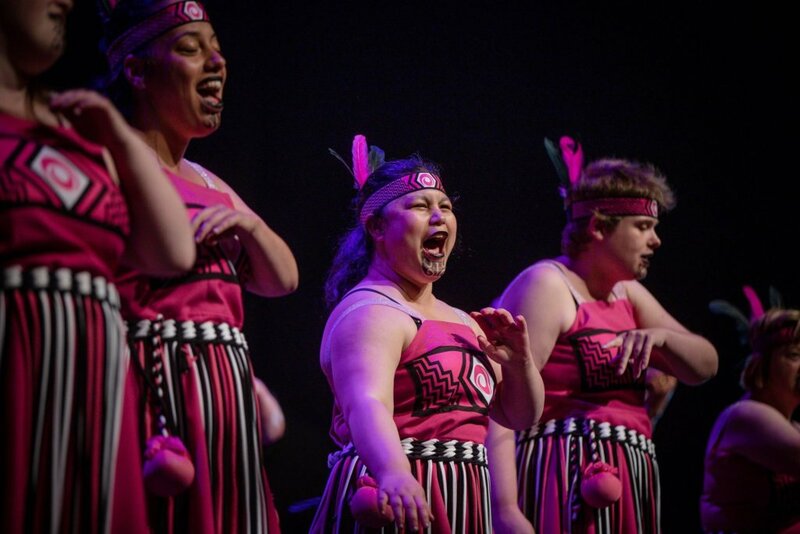 Te Roopu Manaaki, whose 17 members range in age from new school leavers to late 50s, were one of the most impressive acts on the bill – earning praise for their original waiata, choreography incorporating New Zealand Sign Language, and spirited stage presence. This was the second major festival appearance for Te Roopu Manaaki (whose name translates as “the welcoming group”, or “generous group”), the first being the IDEA Services Central Region Kapa Haka Festival in April. Tutor Tama Ariki Biddle said he was thrilled with the group’s improvement throughout the year, and the feedback the members received in Hamilton: particularly for their original material, which captures their struggles against discrimination and prejudiced attitudes. Tama said he has noticed a definite change in the members’ confidence – not just as performers, but as people unafraid to throw down a challenge for their naysayers, and prove their capabilities. “These guys have an important message to share with the world,” Tama said. “It’s so upsetting for them whenever people give them funny looks in the street, or if people pull their kids away from them. “Kapa haka is helping them put a voice to these sensitive issues – and they’re gaining confidence and self-esteem in the process. Tama has been working with Te Roopu Manaaki, set up and supported by REAP Wairarapa as part of its special education programme, for the past two years – landing the job after relocating to Masterton from Hawke’s Bay. 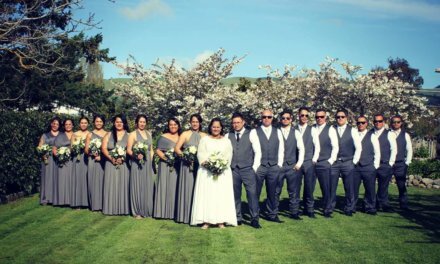 This year, Tama’s wife Treena Williams-Hook, a kapa haka veteran, joined him in coaching the group, offering “a fresh pair of eyes, and the ability to throw down good, constructive criticism”. When training the group, Tama drew on his past experience of working in mental health and teaching Maori performing arts in schools – but took a step out of his comfort zone by composing new material. Tutor Tama Ariki Biddle (right) supports his crew on stage. “Covers don’t do justice to the uniqueness of the group,” he said. Throughout the writing process, the group members were only too happy to share their ideas. 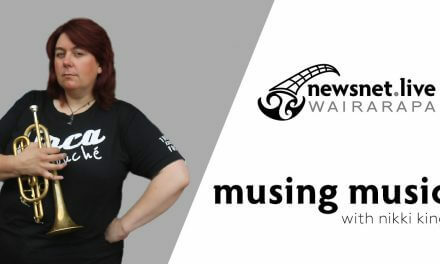 For example, their moteatea (opening chant) introduces Te Roopu Manaaki as “a group of intellectually disabled people standing up against discrimination”, and expresses their desire to spend time with those who accept them unconditionally. 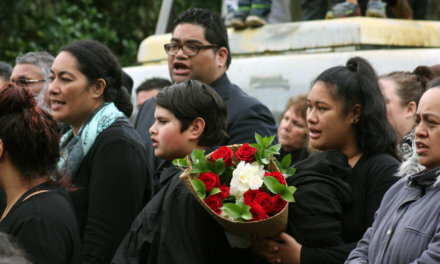 Other waiata celebrate their positive qualities as people – “kind”, “peaceful”, “big-hearted”, “loving” – one particular piece voices their sadness at being excluded in their community. 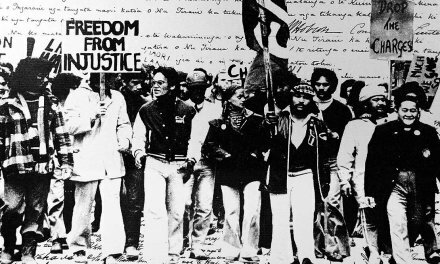 In this waiata, the group uses NZSL in their choreography – which Tama said was challenging to learn. Tama said Te Roopu Manaaki received very positive comments at the regional festival – so there was “a bit of pressure” going into nationals to deliver another top-notch production. “We wanted it to get bigger and better – we didn’t want them to walk off stage and feel let down. In Hamilton, the group exceeded expectations, “leading by example” both on and off stage. “They were disciplined, had good manners, and were very gracious,” Tama said. 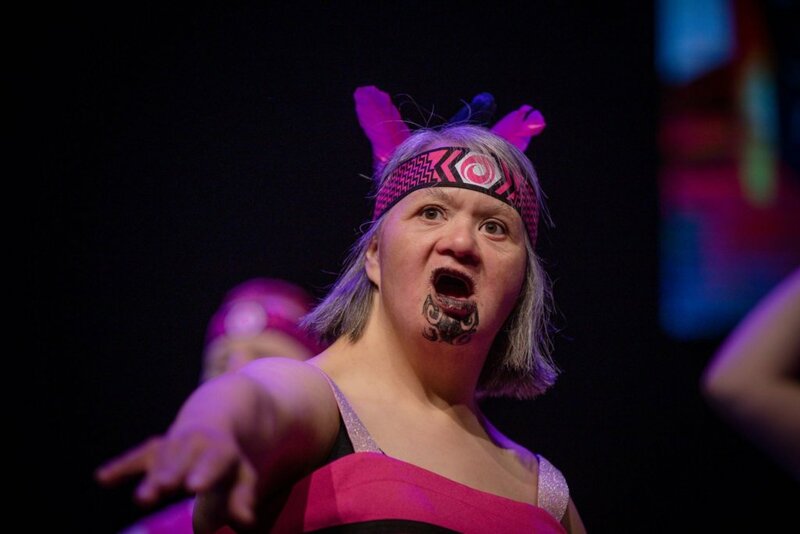 For people with learning difficulties, kapa haka can help improve motor skills, co-ordination and recall. Though Te Roopu Manaaki’s routines may not “always be perfectly in tune or in time”, Tama said, they never fail to entertain an audience with their infectious personalities. “Kapa haka is about expressing yourself – it doesn’t have to be aggressive or fierce. Tama, who recently received an award from ACE Aotearoa for his work with Te Roopu Manaaki, is grateful for the Wairarapa community, who have helped raise funds for the group’s uniforms, travel and accommodation costs, and have arranged venues for the group to perform ahead of nationals, and the support of the members’ whanau and caregivers. This story originally appeared in Wairarapa Midweek, December 19, 2018.